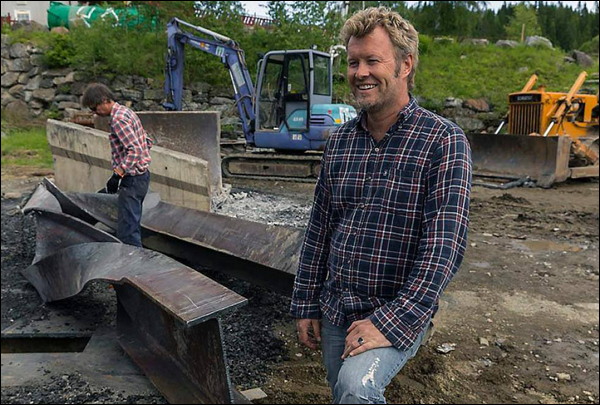 Magne has created a massive sculpture out of a steel H-beam for Kjell Inge Røkke, which will be installed outside Røkke’s cabin in Oppdal. 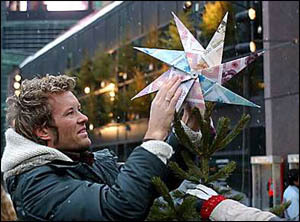 This type of work has never been attempted before, and is very complicated. There is a long article in Budstikka which outlines the process and highlights the team of craftsmen Magne assembled to collaborate on this project.